Chiropractors, also known as doctors of chiropractic or chiropractic physicians, diagnose and treat patients with health problems of the musculoskeletal system and treat the effects of those problems on the nervous system and on general health. 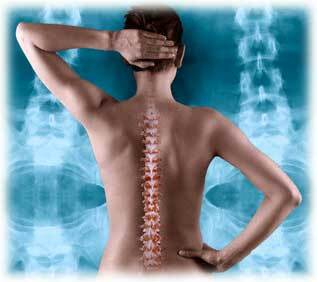 Many chiropractic treatments deal specifically with the spine and the manipulation of the spine. Chiropractic is based on the principle that spinal joint misalignments interfere with the nervous system and can result in lower resistance to disease and many different conditions of diminished health. The chiropractic approach to healthcare focuses on the patient's overall health. Chiropractors provide natural, drugless, nonsurgical health treatments, relying on the body's inherent recuperative abilities. They also recognize that many factors affect health, including exercise, diet, rest, environment, and heredity. Chiropractors recommend changes in lifestyle that affect those factors. In some situations, chiropractors refer patients to or consult with other health practitioners. Like other health practitioners, chiropractors follow a standard routine to get information needed to diagnose and treat patients. They take the patient's health history; conduct physical, neurological, and orthopedic examinations; and may order laboratory tests. X rays and other diagnostic images are important tools because of the chiropractor's emphasis on the spine and its proper function. Chiropractors also analyze the patient's posture and spine using a specialized technique. For patients whose health problems can be traced to the musculoskeletal system, chiropractors manually adjust the spinal column. Some chiropractors use additional procedures in their practices, including therapies using heat, water, light, massage, ultrasound, electric currents, and acupuncture . They may apply supports such as straps, tape, braces, or shoe inserts. Chiropractors often counsel patients about health concepts such as nutrition, exercise, changes in lifestyle, and stress management, but chiropractors do not prescribe drugs or perform surgery. In addition to general chiropractic practice, some chiropractors specialize in sports injuries, neurology, orthopedics, pediatrics, nutrition, internal disorders, or diagnostic imaging.